Are SnapShotz PoseCards the best thing in portrait photography since the One Hour Photo? Sites like Pinterest, Instagram and Facebook are flooding our online lives with photos taken with family and friends. Photo sharing technology is growing every day and photos are increasingly becoming more "permanent" as they are stored in the cloud. Classic portrait poses are a bit stiff and unnatural but what is the best solution for taking family photos now that photos might be seen even more? If your family photo day is a chore in getting everyone to look interested and happy to be together for a good photo and some friends are addicted to "selfies" while others seem to be left out of most photo opportunities, the SnapShotz Photography Game might be just the ticket to a night of fun and to capture some great photos at the same time. 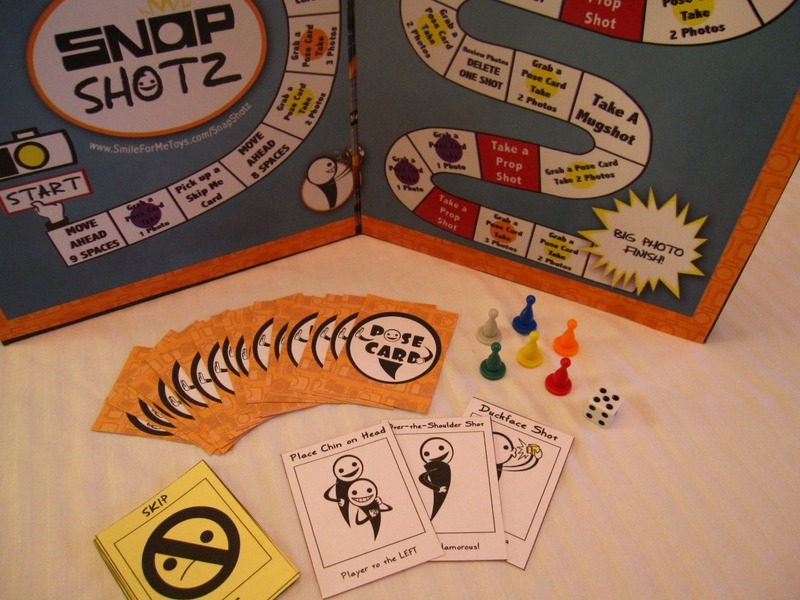 Using a board game's time proven ability to captivate and engage players around a table, The SnapShotz Photography Board Game uses any camera (iPhone, tablet or smart phone) with added Photography Props and PoseCards which are drawn that randomly call the poses. Better than a PhotoBooth because the game provides a new playing field in which the "selfie addicted", the young and old, and the "photo allergic" all get involved with the game. Simple and easy to get started with almost NO starting instructions, the game has unlimited outcomes and everyone is glad they were asked to play. SnapShotz PoseCards determine poses that may be silly or serious. No more needing to guess what to do next. Put taking photos on "auto-pilot" by just putting out the board, adding some Photo Props, and placing the cards out on the table and taking turns rolling a die and reading the directions on the cards. This deceptively simple game has great depth and complexity for replay value. 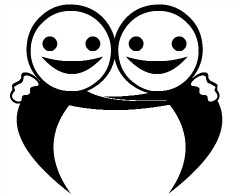 This game gives families and friends permission to take photos together and let it be okay to have fun, experiment with "selfies" and get in close together with those we hold dear. When was the last time Grandma had a photo with a grandchild like this? There are Sixteen (16) PoseCards in the game with Two "Poses Wild" cards completing the original "pose pack". Some are silly and some are more classic but they encourage kids to do what they do best in dressing up, acting goofy and making silly faces and with sometimes serious photos taken with a player next to them because the game "asks it" of them. When they least expect it, they may have taken some truly adorable and memorable photos together. How Fun Will SnapShotz PoseCards Be? Mixed with your favorite PHOTOGRAPHY PROPS from party and costume stores, thrift stores and grandma's attic trunk, you can make an event of taking photos. Cameras, tablets and smart phones with photo sharing capabilities and special filters and effects are making new advancements every day. The SnapShotz Photography Board Game doesn't have to keep pace because it has been designed so that any camera device will work with it. No directions to read, no starting instructions or manuals. The perfect bridge from the retro board game era and the modern technology that kids and teens have mastered and that they bury their heads into. Plays in 20 to 30 minutes depending on the number of players and pace of the photography prop choices but they will be hooked in 5 minutes. With unlimited themes and countless interpretations of the poses, everyone will want to play again and again with SnapShotz PoseCards leading the way.